After the smashing success of last year’s magnificent The Walking Dead video game interpretation, fans are in for a surprise. 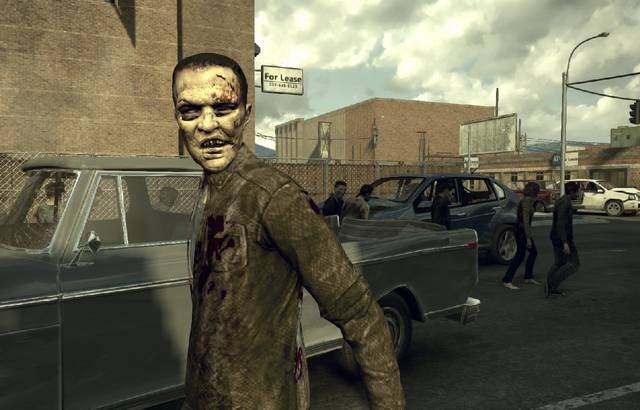 The Walking Dead: Survival Instinct is straying from the RPG elements of the previous game, focusing instead on an FPS experience that centers more on the TV series than the comics. At the center of the story are the Dixon brothers, Daryl and Merle, as they make their way to Atlanta. Although past trailers haven’t been exactly been too impressive, a new behind the scenes video starring Norman Reedus and Michael Rooker, who portray Daryl and Merle respectively, shows off much more interesting gameplay than before. Seemingly taking a page from Left 4 Dead 2‘s playbook, melee combat plays a huge role in survival, with some gunplay making an appearance. The graphics don’t seem to be too high quality, but that’s hardly a problem if the game is as fun as it could be. In the video, which can be seen below, Reedus and Rooker offer a quick look at their time in the recording studio and give some insight into the final version of The Walking Dead: Survival Instinct. What’s most interesting about The Walking Dead: Survival Instinct is the decision to put an emphasis on action when the series itself relies more on clever survival, more akin to last year’s video game version. Maybe the action perspective will appeal to a wider audience, or maybe fans will react negatively to the larger focus on massacring the undead rather than human drama. We’ll soon find out, as next Tuesday’s release date looms closer than ever. Leave your impressions of the newest video in the comments below!